This is it, guardians. The Fallen have betrayed the Queen. Are you ready to deliver her revenge? 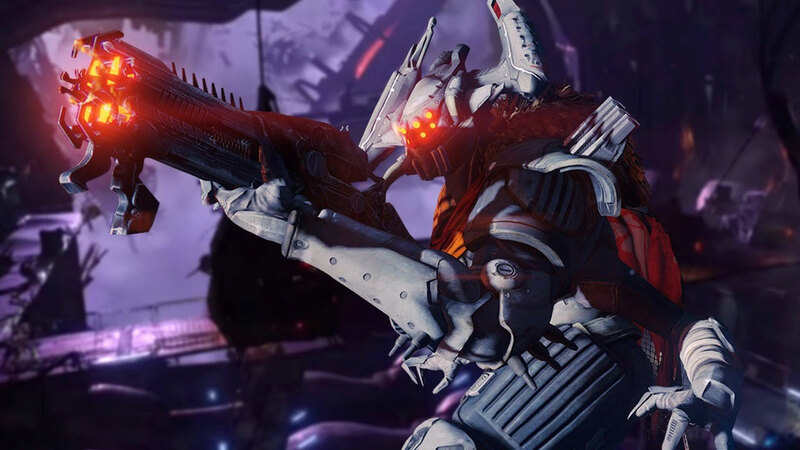 House of Wolves, Destiny’s second major expansion, is now live on all platforms. We’re still waiting to be able to actually buy it, but the add-on costs €19.99, for which you’ll get five new story missions, a new strike, the Prison of Elders PvE mode, the Trials of Osiris PvP mode, new Crucible maps and all the new gear you could possibly want. An enormous amount of information has been released on the update in the run-up to launch, including details on new vendors, the Reef’s new social space and so much more. Brenna rounded up everything we’ve published in recent weeks in this exhaustive article yesterday. We’ll have a full guide to House of Wolves’ content live as soon as possible, so check back later for walkthroughs and tips for all the story content, as well as details on all the new Reef vendors and their gear. We’ll be adding strategies for Prison of Elders and Trials of Osiris in the coming days. But for now you’ll probably just want to grab the expansion, pray the servers don’t explode and start exploring. Good luck, guardians. May your evening bring much Fallen death.